It has a sensitive sensor so you don't have to touch the handle to turn on and shut off. 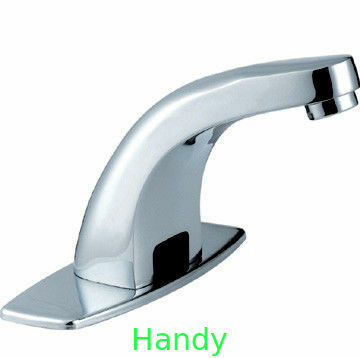 With this faucet,your water consumption will be reduced tremendously and you will never worry about overflowing again.Great for home & commercial use. Top office building, Hospital, dental clinics, hotel, restaurant, GMP factory, laboratory, school, and many public areas.